I have always loved the Vancouver Lookout. It’s the place where I take out-of-town visitors whenever I want to give them a quick snapshot of how beautiful Vancouver and it’s surrounding area is. People associate Harbour Centre (the tower that houses the Vancouver Lookout and its revolving restaurant) with Vancouver almost in every single snapshot you can get from the city, and it’s literally kitty-corner from my office at The Network Hub, so it’s kind of surprising I don’t visit more often. Wait, I know why. Because in Vancouver, it rains almost 300 days out of 365. Which is bad. But when it’s sunny, bright and beautiful, you can’t get enough of it. 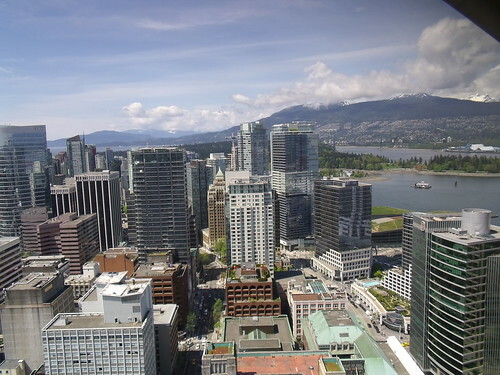 And seriously, there’s almost no way you can take a bad photo with a day full of sunshine, from the Vancouver Lookout. Exhibit A, see below. 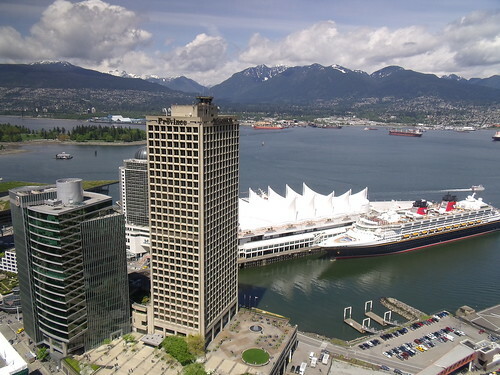 The Vancouver Lookout opened on August 13, 1977. Astronaut Neil Armstrong, the first man to walk on the moon, cut the ribbon and welcomed a crowd of dignitaries, Vancouverites, and visitors. 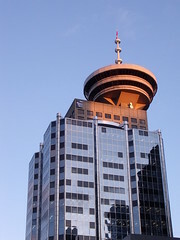 The Lookout tops Harbour Centre which, at 168.8 meters (553.16 feet) high, is one of the tallest buildings in Vancouver and British Columbia. It’s only slightly shorter than nearby Seattle’s Space Needle that rises to 184.4 meters (605 feet). The cost for an adult trip up is $15 dollars (Canadian) and you can save your ticket and go up any time throughout the day (something I find extremely nice, as many other attractions don’t have in-and-out privileges). 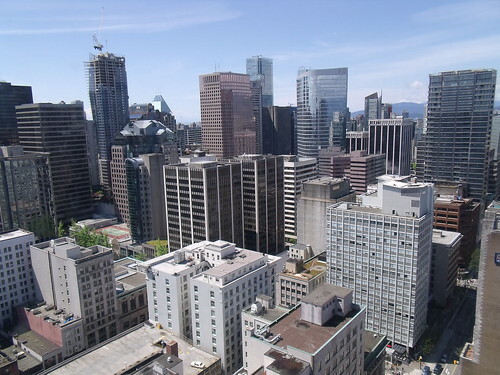 You can also find the Vancouver Lookout on Twitter (@VanLookout) and on Facebook. Disclosure: I paid for my own trip up, out of my own pocket. I just thought it’d be nice to highlight a Vancouver landmark. Thanks soo much for the great write up Raul! !